In the world of digital data we have tons of pictures, documents, videos, email, financial information and more right at our fingertips, but how many of us back up all of this stuff? We are using our computers for just about everything we do in our day to day lives. With the major push to go paperless, many of us no longer write out checks to pay our bills, file paper taxes or even receive bank statements in the mail. The convenience of having all of this information on our computers is great, but it can all disappear with one virus, power surge, or flood. Whats even more strange is that most of us know we need to back up our data but we choose not to. Perhaps it is because we just don’t know how or maybe just don’t feel like we have the time. Here are a few great ways to back up your data and the best part is it doesn’t take very long and it’s not very expensive. External Hard drives are easy to set up and you can get a huge amount of storage space for very little, and to top it off they are portable. For example, you can get a 3TB, yes that’s Terabyte, for around $140. You might even find deals better then this, especially if you can find an online coupon or rebate offer. Many of these drives now utilize the new super fast USB 3.0 standard for quick data transfer. Yep, even these little guys can be of great use when you need to back up data. Thumb drives come in many shapes and sizes and some can hold up to 128GB of data. This option is not necessarily the fastest but in smaller sizes, like the 8GB for example, you can back up all of your spreadsheets or photos in a snap. I think these make a better choice than recordable DVD media since they are less susceptible to physical damage, take up less space, and are relatively cheap. These are quite useful to use but honestly I think the other methods of backup that I mentioned are far easier to work with. I’m not saying you should never use optical media to back up your data I am just saying there are better options. If you have multiple computers on a network you can back them up using something like Time Capsule from Apple, which will integrate wirelessly with Time Machine to back up your Apple computers. You can also use Clickfree Wireless backup, which will also back up your files on multiple machines. Both of these options are extremely easy to set up and work really well. Yes, it’s the cloud again! Sites like Carbonite and Mozy are super easy to use and offer solid back up protection for about $50 a year, that’s about $5 a month which is not bad for peace of mind. Dropbox is another popular option for back up synchronization that can be downloaded or used on the web. Dropbox stores files in one folder that can be accessed from any device and it features a relatively easy to use interface. OK, so we have a few options to choose from when it comes to how we want to back up our data but how do you choose what to back up? This process is not as bad as you might think, just think about what is irreplaceable and what means most to you personally. After you determine what can not be replaced, you can start weeding out things like video game data (excluding saved games), old documents that are no longer important like essays from 6 years ago or old resumes and emails. Many operating systems come with a back up system of their own that you can use. Mac uses Time Machine, which you can get detailed information on how to use here. Windows users can use Backup and Restore, instructions on how to use this can be found here. With openSuse you can back up your /home using instructions found here. Remember, redundancy is key here and try to back up only the things that you consider to be irreplaceable and most important. Using this strategy will keep your file sizes from getting out of control and help speed up the back up process. As we go over the long list of specs on a new computer we usually gloss over our storage options and focus more on processing power and memory, and for good reason as our storage options haven’t really changed much over the years. Now, a new option has arrived on scene, Solid State Drives (SSDs). Solid State Drives are a whole new beast and they have a lot to offer. SSDs are comprised of multiple flash memory chips that are all connected together. 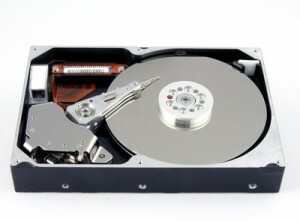 Being comprised only of chips means that Solid State Drives contain no moving parts and unlike the Hard Drives we are used to using, are completely silent when in operation. We can finally say goodbye to that grinding sound we hear everytime our drives spin up, but to their credit they have become much quieter over the years. What makes this technology so amazing is its speed. SSDs read and write data at such blazing speeds that on some systems, can make Windows load faster than the animation that plays during boot up. Load times in games are reduced drastically and content loads much faster though out the whole system. It really shows how much of a bottleneck our old Hard Drives were. Prices are still not nearly as cheap as the old hard drives but there are many deals going on right now as companies and retailers are trying to push the world towards this new storage option. Still think its a bit to pricey ? No need to worry, as consumers buy more of these drives I expect to see prices drop again. I did remain skeptical for a long time about how much performance gain I would really see until I just jumped in and bought one of these drives. If your curious as to how my experience was, let me just say that once you buy one of these you will probably never go back. So, you have finally decided to throw out, sell, or give away some of your old hard drives and you want to make sure what ever data you had stored on them is completely wiped out. Well, I’m glad you have made the smart decision to protect your sensitive information but there are a few things we need to go over before we wipe everything clean. Please note that the process explained in this guide will completely erase your hard drive, unlike formatting which basically makes the data invisible but not completly gone. 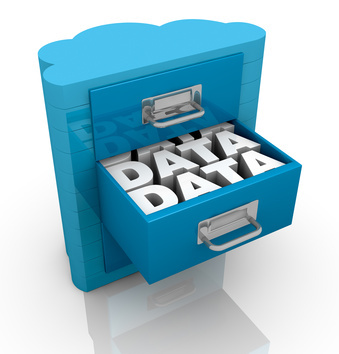 With formatting, data can actually be recovered by using special software. So you want to nuke it all, let’s get started. 1. Backup anything stored on the drive that you want to keep, as you will not be able to recover it once this process is completed. 2. Download a program that is made for destroying data. The one I will mention in this guide is DBAN which is a free and powerful tool. 3. Following the instructions provided on the DBAN site, burn the iso file to a disc. **Do not modify the file at all or it may corrupt boot disk creation. 4. Once you have created your boot media by buring the DBAN iso file to a disc, insert the disk into the computer that contains the hard drive you would like to erase. 5. Boot the system with the DBAN media, if this dosen’t seem to be working you may have to go into the settings of your BIOS. You can usually access your BIOS settings by pressing, esc, delete, F1 or F2 right when you power on your machine. Once inside the BIOS settings make sure to change your boot order to allow your system to read from your optical drives before your hard drives. Then be sure to properly save your BIOS settings before you exit. 6. After DBAN is running you can follow the on screen prompts to complete the cleaning process. I would recomend running DBAN in interactive mode which will allow you to change the method in which DBAN will erase data. In interactive mode you will see a menu at the bottom of the screen. Press “M” to change the method. Each method has a decription of it wipes a hard drive and the security level it has been given. 7. Choose a how you want to verify passes to enusre the proper removal of data. 8. Start the wipe process. Usually “F10” in the menu. ** Please note that it can take anywhere from just a few minutes to many hours to complete this process depending on the storage capacity and method used to wipe the drive. If you have any other issues getting started please refer to the DBAN webite and navigate to their help section.